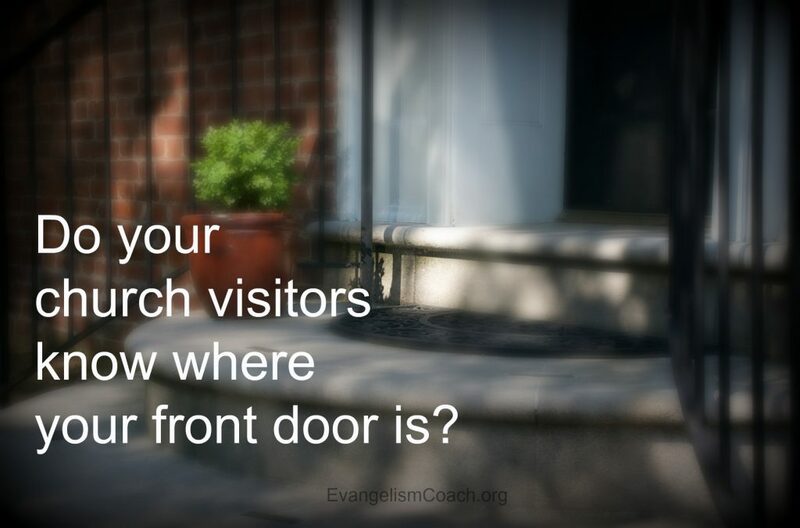 Do your church visitors know where your front door is? We visited a church and used the front door and found it locked. 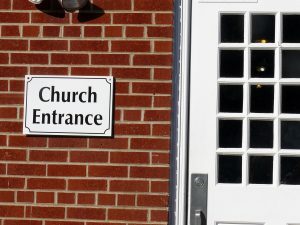 In one of our church visits, we approached the front church doors that faced the parking lot. The covered front porch provided a dry space for dropping off passengers. It framed the beautiful entrance to the church. Two different groups of teenagers stood in front of each set of doors. They were wonderfully enjoying fellowship. We had to walk around them to pull on the front church door handles. The front doors were locked. I caught the eye of a few teenagers. Even though I’m over 40 years old, their stare at our awkwardness created feelings of incompetence in me. We tentatively pulled on the second set of doors, under the watching eye of the second group of talking teenagers. I’ve been guilty of this very error too. At the very first church where I served as an associate pastor, “everbody” used the side door. The parking lot was closest to the side door. Nobody in the congregation used the front door which faced the street. So they were never unlocked. However, we created embarrassment every now and then when a church visitor pulled on the locked front doors. If someone inside happen to hear it, they’d politely open the door for our guests and welcome them to our church. We decided to remove that source of potential embarrassment. Are they clean, clear and readable? From a distance? From up close? Do they fully embody and represent the ethos of your church? Are your signs attractive and professional and eye catching? Do they clearly direct people where they need to go? Are there enough signs to help lost people get un-lost? 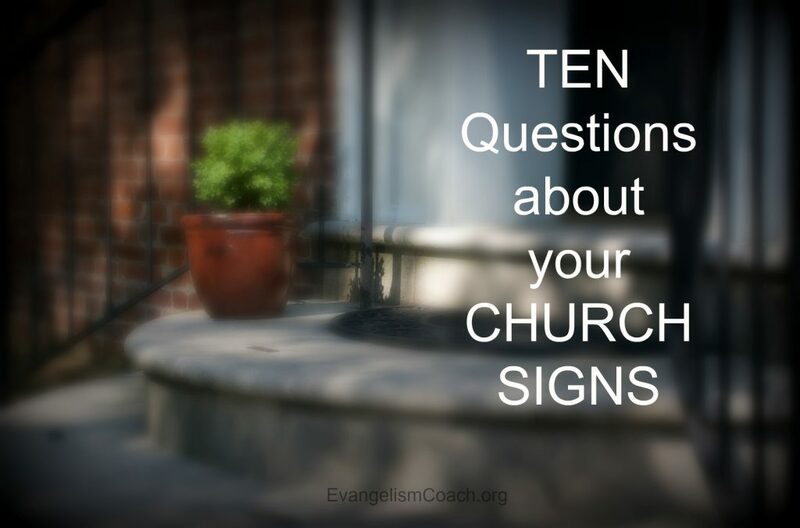 Or, do you have too many signs blocking up the scenery of your church? What image do your signs paint in visitor’s minds about your church? Do your signs help direct a person to the essential areas–such as where to park, the kids area, bathrooms and the worship environment? Can I follow your signs comfortably front the street to my seat? 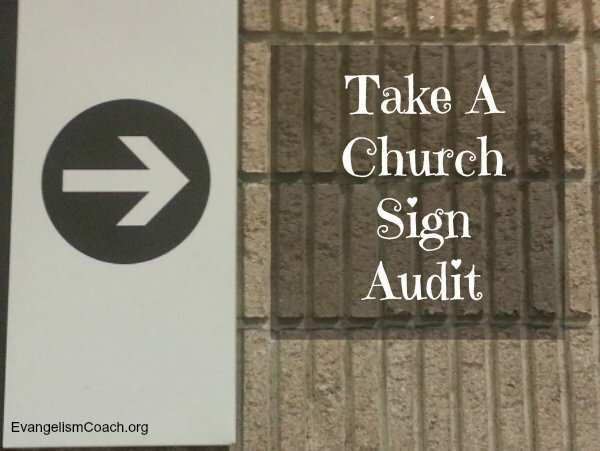 Do this audit of church signs and see what you can do. I think church signs are useful, but down in SOuth Carolina they are a bit over whelming as they are everywhere. You can make your own funny church sign pics on http://www.CustomSignGenerator.com.